Town Fair Tire | 8x8, Inc.
Town Fair Tire is a well-established tire retailer located in the New England region of the United States. In an effort to make its employees more available to prospective customers the company opened a traditional contact centre but quickly became dissatisfied with the substandard experience and the inaccessibility of call-related information. The search for a replacement—made in parallel with the decision to upgrade a conventional phone system—resulted in deployment of the 8x8 Virtual Office and 8x8 Virtual Contact Centre solutions. The results have been dramatic. Town Fair Tire launched into the New England tire business in 1967 with just one store. Today, by combining fair prices with exemplary service, it has expanded to 95 stores spread across six states throughout the northeast United States. The company’s 1,800 employees focus strictly on tires; encompassing the sale of tires and providing tire-related services such as balancing, installation and alignment. In addition to its retail business, Town Fair Tire sells wholesale to auto dealerships, repair shops and other outlets. The Town Fair Tire stores and showrooms offer attractive, comfortable facilities, stated with knowledgeable personnel. The company’s way of doing business is to encourage staff to spend time with each customer—both in person and on the phone—to provide in-depth explanations of the features and benefits of the available tire choices. To ensure that appropriate time could be allocated to clients and guarantee that questions were always satisfactorily answered irrespective of the capacity of each store, a decision was taken to open a contact centre. Town Fair Tire initially entered into a contract with a contact centre provider that was almost immediately acquired by a competitor. The resulting performance of the deployment did not meet expectations. The flawed contact centre solution sent Town Fair Tire looking for a higher-quality replacement. While the focus of the new search was initially for contact centre software, the company also seized the opportunity to identify and implement a high-quality cloud-based phone system. We now can see how many calls come in by agent, how many are for repairing flats versus new tires, or for tire rotations, et cetera. This lets us know exactly what’s happening in the field so we can stay close to the needs of our clients, tailor programs to drive sales, and maintain our market leadership in the Northeast. Given the urgency of getting usable caller traffic information, the implementation was phased to allow the new 8x8 Virtual Contact Centre to come online first, followed by the company-wide deployment of the 8x8 Virtual Office cloud-based business phone system. 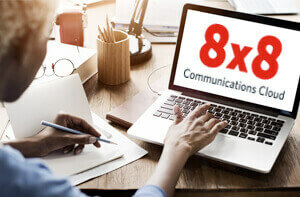 8x8 Virtual Office provides Town Fair Tire with a full-featured, complete cloud-based telephone system. It delivers seamless communication for all company locations and supports both mobile and desk phones. Features include collaboration capabilities such as web conferencing and video meetings. In addition, corporate features such as extension dialing, auto attendant, ring groups, call recording and Internet faxing are all part of the package. 8x8 Virtual Office includes a suite of web-based tools that provide detailed analytics to support informed decision-making. Town Fair Tire also makes extensive use of 8x8 Virtual Contact Centre's features; leveraging queues to facilitate efficient service and call-backs to save customers from being placed on hold. 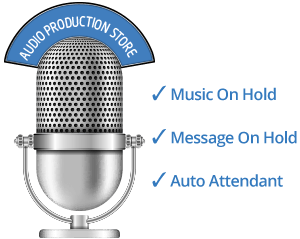 Customized messages provide key details such as hours of operation and new product information; and the company updates these seasonally to stay fresh. The system supports a variety of customer interaction methods, including phone, email, chat and the web. Within Town Fair Tire’s contact centre, a dedicated team of customer service agents handle appointment calls, and a similar number of tire experts answer inquiries when advice and tire pricing are needed. Relying on 8x8 Virtual Contact Centre, the centre efficiently handles over 1.3 million calls a year from all 95 stores.